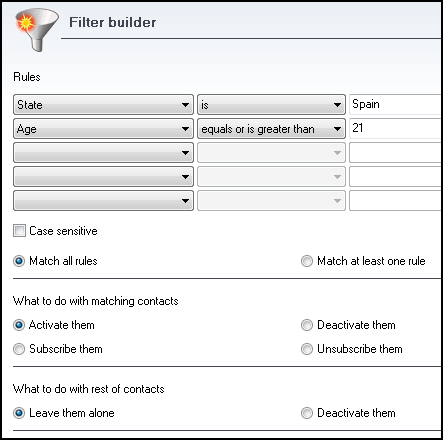 A powerful filter has been added, which lets users fine tune their mailing by selecting and enabling or disabling records matching some conditions. It supports multiple conditions and complex operators, so that they can visually build a powerful SQL query without writing code. Duplicates can now be filtered out automatically, as in release 1, or managed by the user through a new, powerful search engine.